The Chairman of the Daily Mail and General Trust and a very dangerous high handicapper who caught the attention of the Handicap Committee after a stunning win in the Centenary Inter Company competition in 2010. Hits the ball long and straight and would be an even lower handicap if able to find more time to play. He commissioned the “Centenary Book” that records the 100 years since his great, great Uncle, Lord Northcliffe, founded the Society and the highlight of his golfing career was an emphatic victory, with partner Lisa Heywood, in the Centenary Inter-Company for the Harmsworth/Mulchrone trophy. Although fairly newly elevated to the role of joint Vice President with Peter Williams, Martin has always been a great supporter of the Society over the years,having first shown off his golfing prowess with the Chairman’s team way back in the 90’s and is a very competitive 15 handicapper. Recently retired as CEO of the company, his smooth golf swing and ball striking ability was put to good use at West Hill when he left the rest of the field way behind to convincingly win the Rothermere Challenge Cup, no doubt the first of many trophies to come. A former Vice Captain of the Society, Peter was appointed DMGT Group Finance Director in 1991, having joined the Group nine years earlier. He wisely took up golf in 1993 to add to his sporting prowess as a hockey player – a feature still easily recognisable in his swing. He became vice-captain NGS – an appointment, he says, more attributable to his cheque-signing than golfing ability, (this was patently untrue) but stood down as vice-captain in 2002 to allow for succession planning. His NGS highlights include the largest margin of victory trophy at Hardelot;,triumph at Tandridge in September 2001 and afternoon greensomes win with Daily Mail photographer David Crump at Northwood. Peter has now retired so that he can play more golf and get his handicap reduced. Although still active behind the scenes with the Pension Fund he is concentrating work on his golf swing and getting his name on some more of the Society’s silverware. Vyvyan Harmsworth joined DMGT in 1982 after 17 years in the army and his military training has proved to be invaluable in marshaling the golfing troops on the Inter-Copmpany competitions. He first worked as a researcher with the Company’s investment team, became development manager of The Field magazine and then took on the mammoth responsibility of helping to move all of Associated Newspapers’ titles out of Fleet Street into their present home in Kensington. 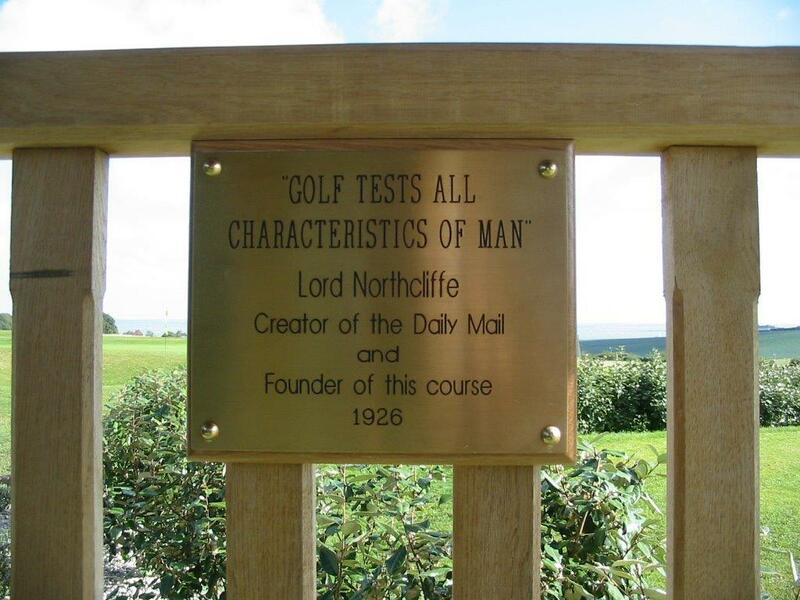 In 1989 he was appointed Director of Corporate Affairs and, at the request of the late Lord Rothermere, he became Chairman of The Northcliffe Golfing Society. He has been instrumental in developing it’s success over the years, including overseeing the highly successful Inter-Company tournament, taking over the Captaincy of the Chairman’s team when Lord Rothermere is unable to attend. His enthusiasm for the Society is endless and he has a wealth of knowledge on both the history of the Northcliffe and his family’s support and involvement with it. A highly competitive 17 handicapper, Vyvyan is married to Alexandra and has three children. His love of golf does not end with the Northcliffe. He is a member of Royal St. George’s at Sandwich in Kent which has just voted to allow women to become members and is a past President of the Press Golfing Society. Taking on the role of the captaincy was an easy role for Lee who has been a long time supporter of the Society over the years and who involves himself in all aspects of the behind the scenes work that makes golf events so successful. He is renown for working tirelessly in motivating players both on and off the course and is the first to recommend just what should be enjoyed at the 19th after a long, hard round finding golf balls left behind by other players. There is not a lot that you cannot teach Lee about golf, an impressive 6 handicapper, who has not only collected silverware over the years, he has also enjoyed the fun and laughter of being presented with the Wooden Spoon for his round at the tough Camberley Heath course, proving that you never really ever know what is going to happen when you go out to play a game of golf. It’s not often that the Society has someone who regularly hits the ball so long and straight, in the right direction to the hole and finishes things off with an accurate putt, but if you are a 4 handicapper like Nick then this has to happen to maintain your standard of play. 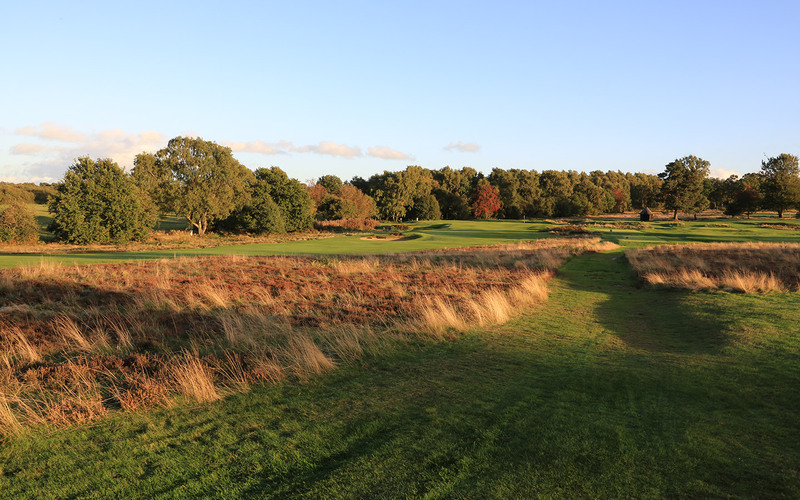 With Captain Lee playing off 6 and Nick off 4, the Society has two formidable golfers for the year ahead but the penalty for their high standard is that golf handicaps are there to equal the game out and those off higher handicaps receive a bucket-load of shots in all the competitions. 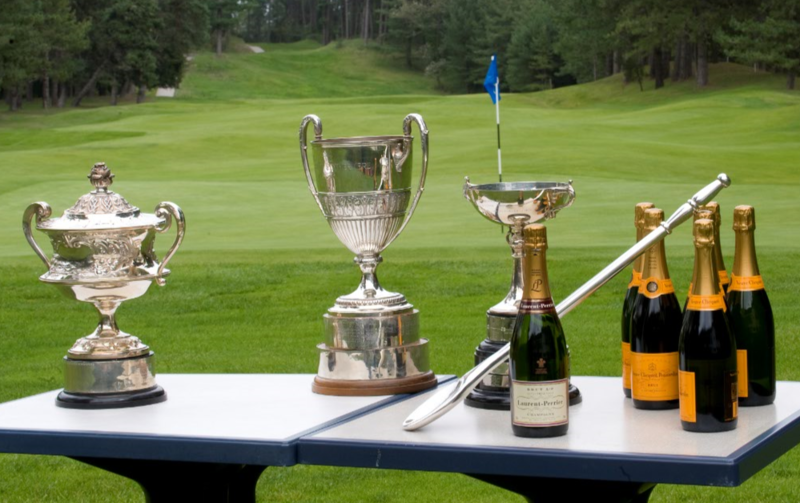 It’s going to be a good test for both our low handicap Captain and vice-Captain, but rest assured, both will play you off level on the 19th and with all those shots the higher players receive – under the Society’s strict handicapping system – the drinks will not always be on them! Garth Burden took over as the Society’s secretary and treasurer in September, 2001, following his retirement from the Daily Mail’s Managing Editor’s office.He joined Associated Newspapers as a reporter on the Daily Sketch in 1969 – can he be that old? – and moved over to the Daily Mail in 1971 for it’s re-launch under Editor Sir David English. Garth, a notable ‘Wooden Spoon’ winner in the past was invited by the late Lord Rothermere to become Society Captain in 1987 at a time of declining attendances and a dearth of funds. Since then the Society has prospered and now offers ‘a tremendous fixture list at competitive prices’ he insisted on pointing out. A 17 handicapper, he is married to Jayne, a fine golfer herself who has been made an Life Member of the Society for all her help with fielding members calls while Garth has been out practising on the golf course. He is a Board member of Northwood Golf Club, a regular fixture in the Society’s golf events and is a member of the Press Golfing Society. As someone who regularly juggles the Company’s finances and tax affairs, Will is the perfect choice to oversee the Society’s accounts and is able to produce yearly figures that match his scorecard in competitions … neat, tidy and perfectly added up. For a 14 handicapper, Will is usually up there amongst the prize winners including a memorable win on the tough Royal Cinque Ports links course at Deal. Renown for being one of the steadiest hitters of the ball, Will definitely avoids taxing rounds due to wild shots that make adding up his score difficult without his calculator.